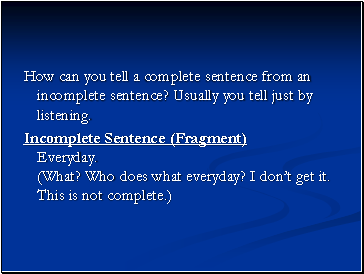 How can you tell a complete sentence from an incomplete sentence? Usually you tell just by listening. Every day, rain or shine. Billy hunts everyday, rain or shine. 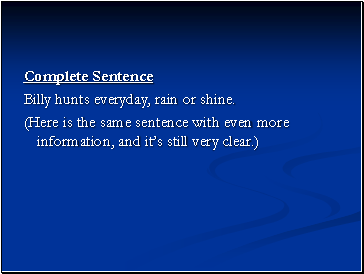 A complete sentence must have a subject and a predicate. 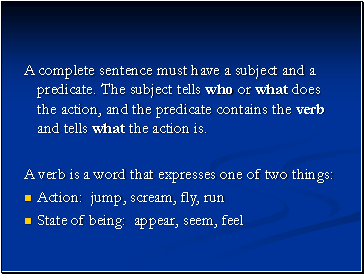 The subject tells who or what does the action, and the predicate contains the verb and tells what the action is. 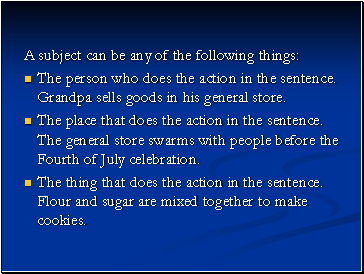 The person who does the action in the sentence. Grandpa sells goods in his general store. 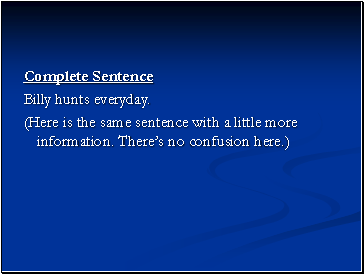 The place that does the action in the sentence. The general store swarms with people before the Fourth of July celebration. 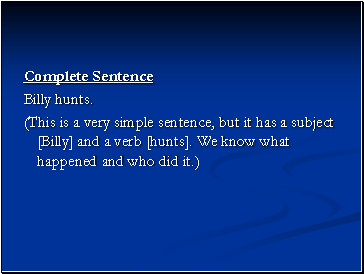 The thing that does the action in the sentence. Flour and sugar are mixed together to make cookies. The person described in the sentence. Grandpa is happy when he makes a good sell. 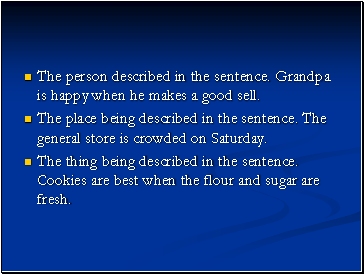 The place being described in the sentence. The general store is crowded on Saturday. 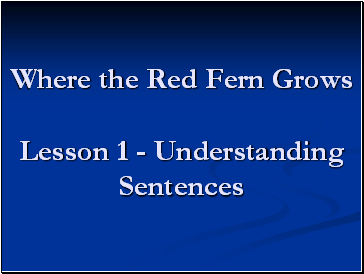 The thing being described in the sentence. Cookies are best when the flour and sugar are fresh. One noun as the subject – Billy wants hound dogs. 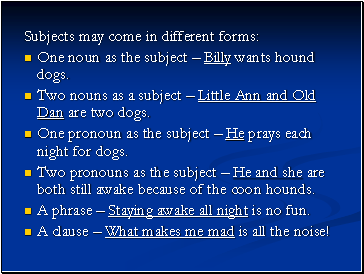 Two nouns as a subject – Little Ann and Old Dan are two dogs. 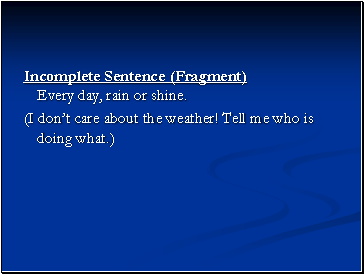 Practice – Complete Sentence or Sentence Fragment?